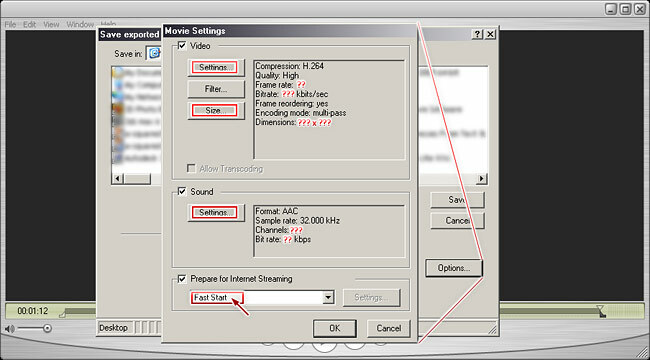 The Pro version of Quicktime allows you, among others, to compress video files in H.264 format with excellent quality. To go directly to the recommended settings table click here. 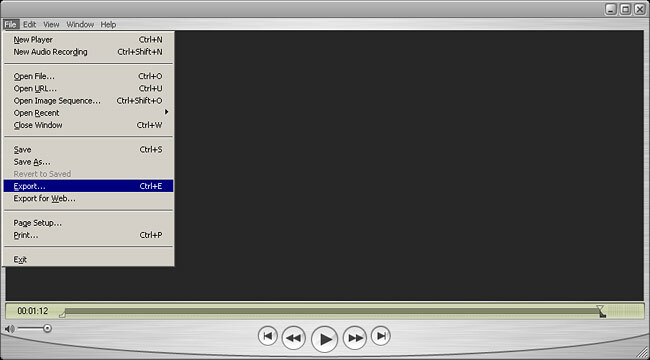 Check out the file formats supported by QuickTime in this page: http://www.apple.com/quicktime/pro/specs.html. . The export window will open. 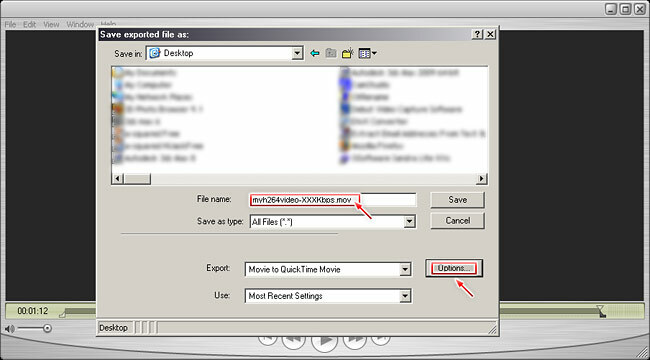 In this window select the destination folder and file name for the resulting file. NOTE: We recommend to include the quality as part of the file name, this way it will be easier to identify it when you are ready to upload it to your WebTV. 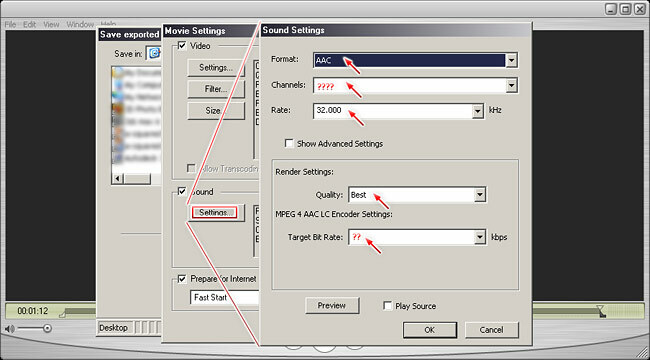 Then click on "Options": the "Movie Settings" window will open. In this window you will find an overview of the compression settings. VERY IMPORTANT: The first thing we have to emphasize (in red) is the "Prepare for Internet Streaming" option, the checkbox must be ticked and "Fast Start" must be selected. Please, pay attention to all highlighted zones (in red). We will present you screen captures of every window and, at the end of this tutorial, you will find a table with recommended values for all the compression parameters. Select the options indicated with red arrows. - (??) "Frame Rate": select between 25 fps (PAL) or 30 fps (NTSC). - (???) "Data Rate" - "Restrict to": use the values from the table you will find at the end of this tutorial. VERY IMPORTANT: Don´t forget to select "Streaming" in the "Optimized for" drop down menu. - Drop down the "Dimensions" menu and select the last option "Custom", this allows you to enter values at the right ??? x ??? ( width x height ). NOTE: For width and height fields, use the values from the table you will find at the end of this tutorial. - Tick the checkbox "Deinterlace Source Video" if your source video is interlaced. NOTE: Usually, videos are "Interlaced", if you are not sure, it is better to leave the checkbox ticked. - (????) "Channels": use the values from the table you will find at the end of this tutorial. - (??) "Target Bit Rate": use the values from the table you will find at the end of this tutorial. When done, click on "OK", again. Verify destination folder and file name, then click on "Save". Recommended settings for compression, image size, audio, etc. Note: The following recommended settings should only be used as a starting point. We recommend to experiment with different settings until you get the desired results.